Michael Maczuga considers himself a native Arizonan. Born in Cleveland, Ohio in 1957, he and his family moved to Arizona in 1964. 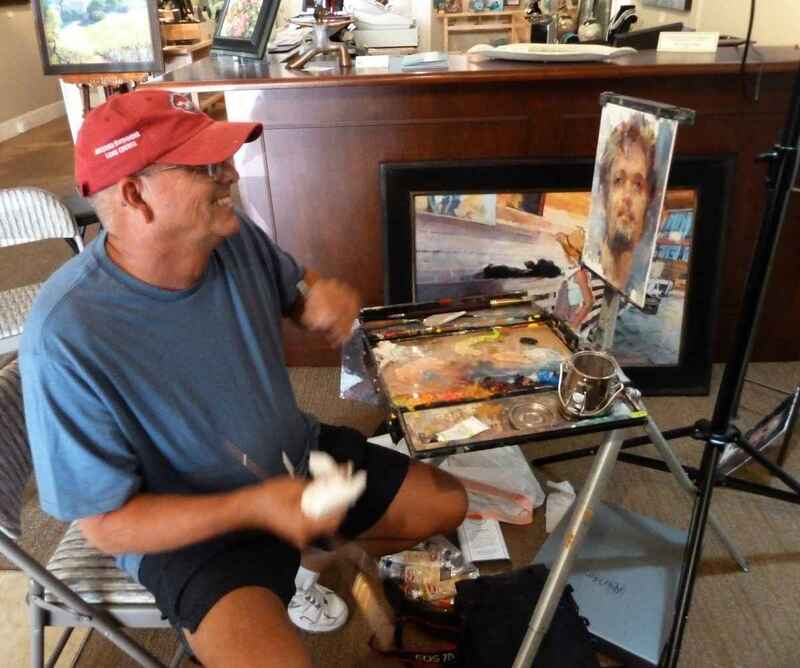 Growing up with a love for art, he has been a professional swim coach for many years, leaving his art career behind until in 2000, when Michael rekindled his artistic pursuits by studying painting at the Scottsdale Fine Art School. Within a short time, Michael was receiving the highest honors from the local and national oil painting community, including numerous awards. Now as a prolific artist and coach, Michael has combined his two passions and is considered one of the country’s top painters of children. His command of painting, from his impressionist brush work to his ability to capture the soul of his subjects is breathtaking. His figures have an almost sculptural quality to them, emanating from the canvas combining realism with the simplicity of freshly laid paint. Painting daily wherever and whenever time allows, Michael became a member of the Oil Painters of America in 2004. He is also the founding director of the one and only major plein aire show in Scottsdale, “The Wild Wild West Show,” an invitational and juried show. The plein aire show is extremely important to Michael because it allowed him to incorporate a mentorship initiative for local high school art students. In 2010 he co-founded Studio 1307 in Scottsdale, Arizona where he paints and teaches children through adults.